More and more great, talented people are becoming a part of our growing //SEIBERT/MEDIA galaxy. This is, of course, a fantastic development but the more employees we have, the more space we need. To be more precise, we now have almost 150 team members in need of new workspace! 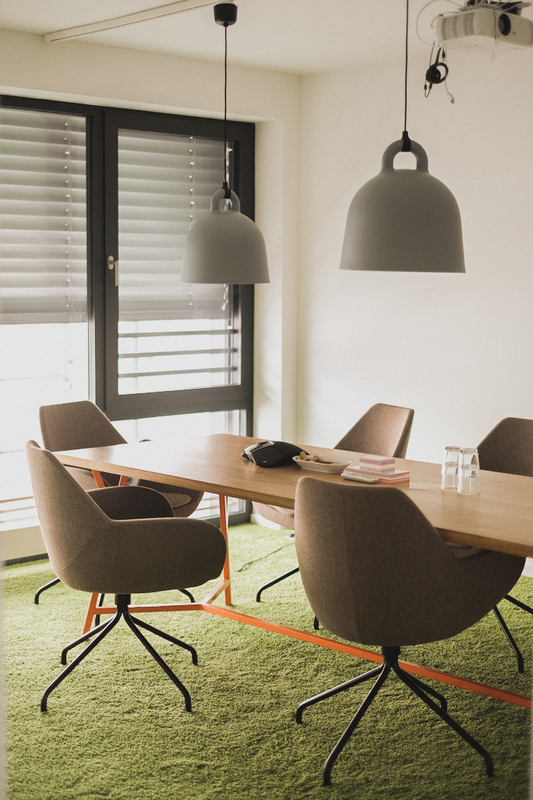 At the heart of the Hessian state capital of Wiesbaden, our existing office space is split between the fifth floor of the Luisen Forum building and the eighth floor of the neighboring ESWE Tower. 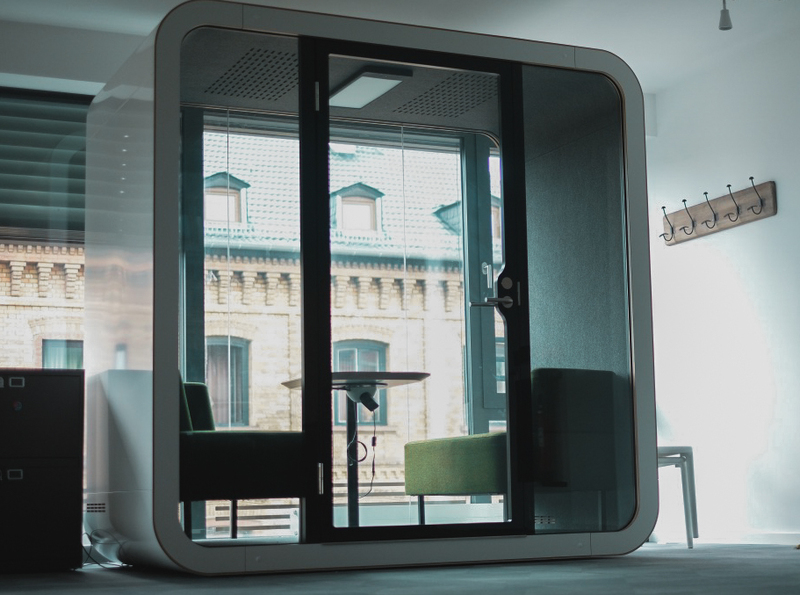 While this was working well, quiet spaces and options for creative teamwork were becoming increasingly scarce. Our “headquarters” in the Luisen Forum building, in particular, was getting quite crowded. There could be up to three different teams working on entirely different tasks sharing one office. The main problem here was that each team need different working conditions for their work. For example, the marketing team engages in frequent and lively communication with one another, while the accounting team needs more peace and quiet for their work. To top it all off, we then had the technical team in the same room, and they need to work under different conditions altogether. As you can see, these three high-performing teams didn’t have much to do with each other in their responsibilities, and at times they even disturbed one another while working. Furthermore, a number of rooms, which had originally been earmarked as meeting spaces, had been repurposed as offices. As such, there was not only less space for people to work quietly and concentrate on their tasks, but there weren’t enough meeting or recreational spaces either. To summarize: The office had become very crowded, and the lack of space was becoming more and more tangible. But finding additional office space also proved to be a challenge. 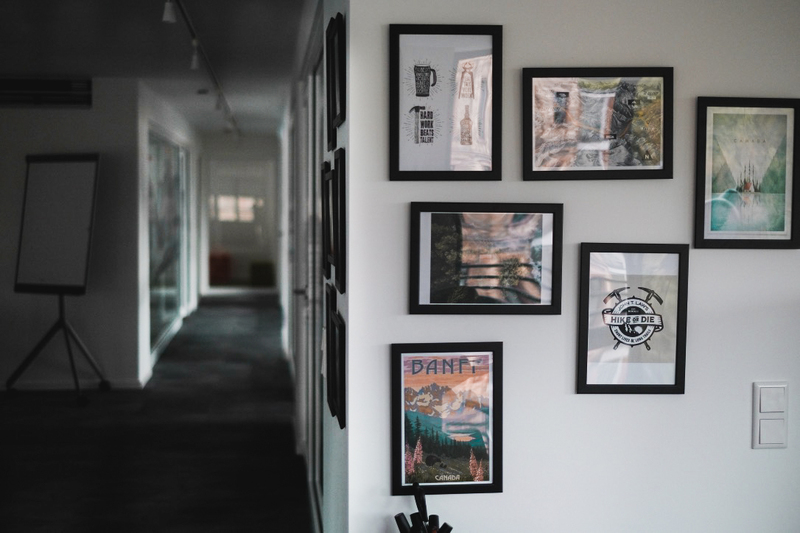 The new location had to be within walking distance of the existing office, provide sufficient space for offices, meeting rooms, and quiet spaces, and allow us some flexibility in terms of interior design – no easy feat in a popular city like ours. After a long search and plenty of brainstorming on alternatives, the solution appeared. 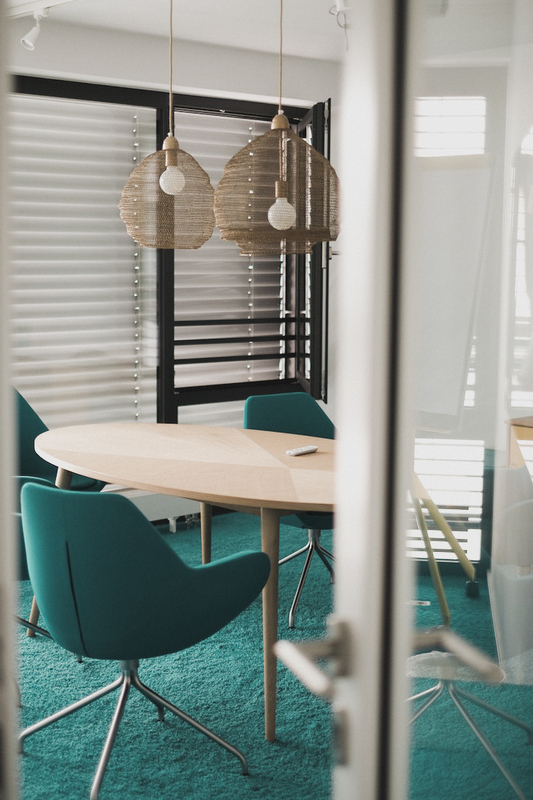 600 square meters of office space, spread across two floors opened up – and that just a five-minute walk from the Luisen Forum building and ESWE Tower. Perfect! Now that we’d found the space, we could start planning. Who would need to move? Which teams would sit where in the future? It was pretty clear that teams whose tasks overlapped should sit together so that they can work more agilely and efficiently – in both the new and the “old” offices. The new space would need to suit our company culture and meet the requirements of our agile way of working. As such, my colleagues Sandra and Jo spent a great deal of time working with an interior designer on the redevelopment and renovation of the new office. And it must be said, they’ve done an excellent job of it! 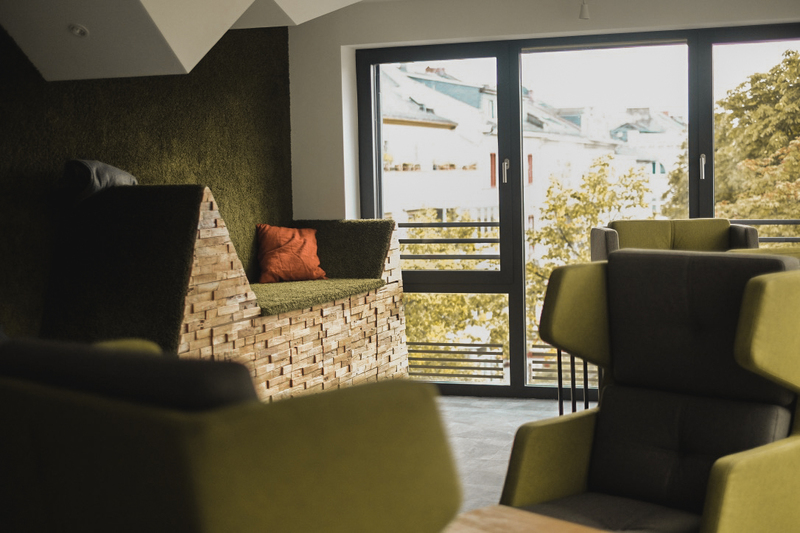 Each of the two floors in the new location at Adolfstrasse 16 (which has already been given the affectionate nickname A16) boasts a unique design and has a real wow effect when you walk in. The design concept on the fourth floor is based on a mountain theme. 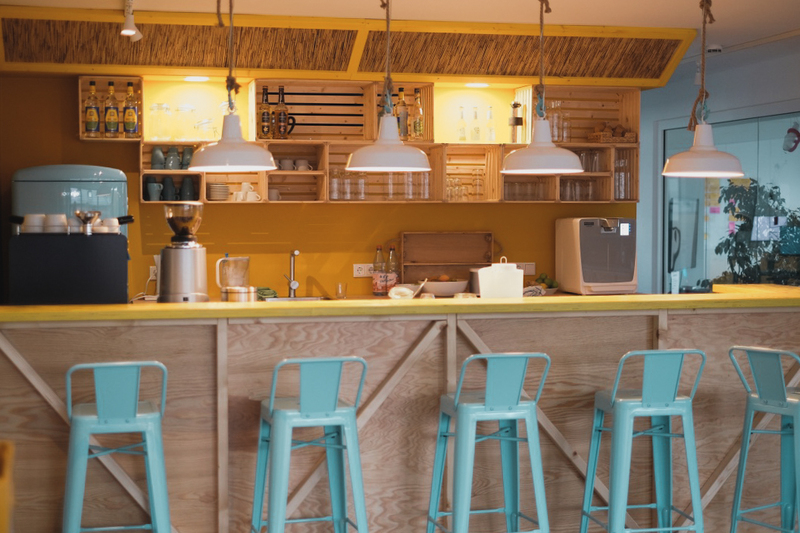 It offers workspaces for 21 employees as well as a large meeting room, a spacious, fully equipped kitchen, a recreation room, and an area with a large table for informal meetings over a cup of coffee or an after-work beer. 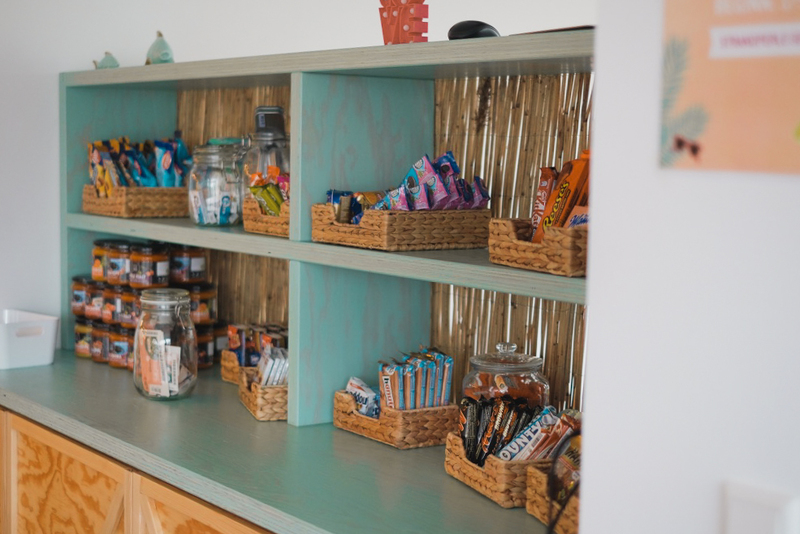 The fifth floor has a “beach” theme and also boasts workspaces for 21 team members, a snack kiosk for those with a sweet tooth, an inviting recreation room, and some quiet spaces. While our new space has dedicated team offices, there is no fixed seating. This is part of our flexible seating concept: Each team can decide for themselves how they want to organize their seating. After all, each project and each task is different and unique. While a few colleagues might be working on a task together today, the constellation could be completely different tomorrow, and then again for the task after that. Our seating concept takes this diversity into account. And so, there is no “my desk,” “your desk.” If it makes sense for colleague A to sit next to colleague B to work on a particular project, then they should be able to do so. In turn, this means that at the end of the day, every desk should be left such that another colleague can use it the next morning. So, nothing is standing in the way of agile, flexible teamwork at Adolfstrasse 16. All 42 workspaces have been fitted with ergonomic chairs, height-adjustable desks, and the latest technology. The teams have already moved in, and the office has been officially inaugurated by the team. What about the “old” workspaces? Now that 40 team members (and 40 desks) have moved into the new space, there is finally a little more room in the Luisen Forum building. 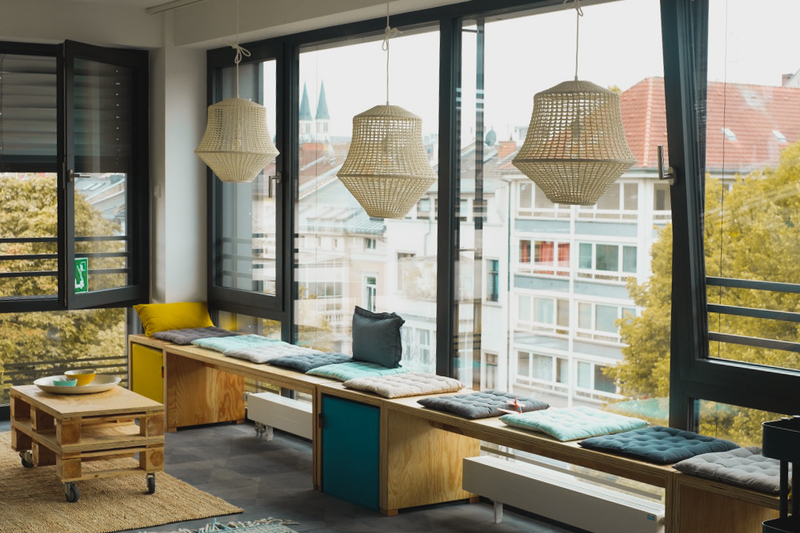 To make the most it, some of our colleagues have set about redesigning one of the coworking spaces (more than 130 square meters) on the fifth floor. There are plans for a large conference space, lots of whiteboards and screens, a usability testing room, a booth for creative work and brainstorming, and another small meeting room. The planning phase is in full swing. We’re excited to see what becomes of it! What’s the secret of high-performing agile teams?